Every 2-3 years I buy some sort of Distress product only to get frustrated with them and give them away. This is the first card made with this year's collection of Mini Distress Inks. I used Wilted Violet, Peacock Feathers, Squeezed Lemonade, and Worn Lipstick. This was also my first attempt with watercolor paper and that makes a huge difference from cardstock. It was a ton of fun to blend. 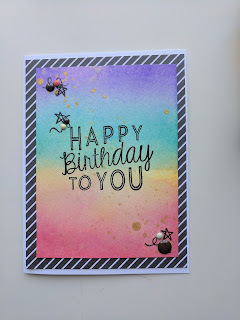 After I made sure that was dry I used stazon black ink to stamp this greeting from Avery Elle Cake and Candles set. 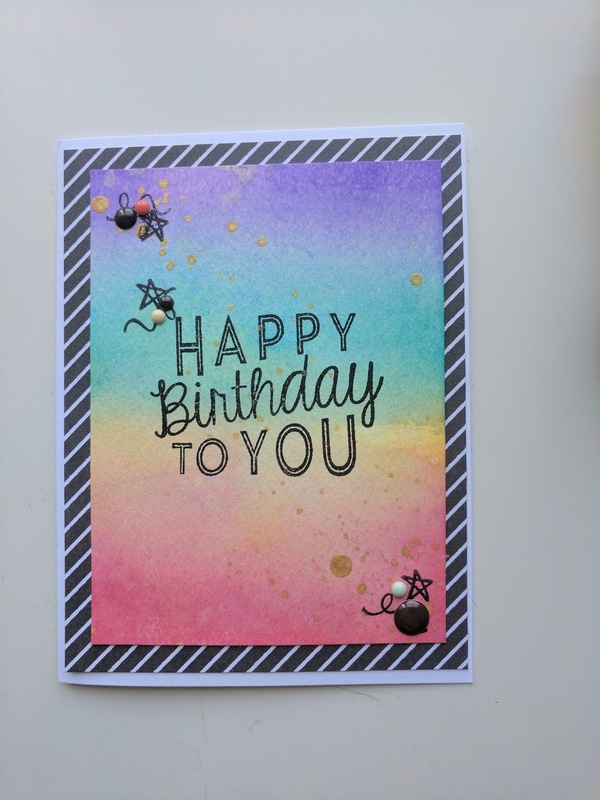 I added a few streamers and stars from the set and scattered some Heidi Swapp Color Shine Gold and a few enamel dots I hoard for that perfect time. Although I don't have any purple ones it turns out. I finished off the card with patterned paper from an old Fancy Pants 6x6 pad.